A train on the Market-Frankford Line in the Kensington section of Philadelphia. 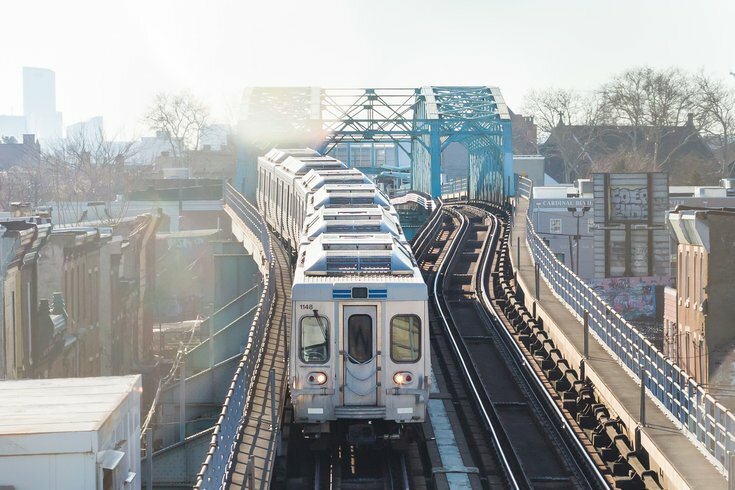 Philadelphia police are searching for a suspect after two teenagers were stabbed Wednesday afternoon at SEPTA's 8th Street Station on the Market-Frankford Line. Authorities said the incident occurred around 3:30 p.m. on the eastbound platform of the station. The first victim, a 17-year-old black male, was stabbed in the neck, stomach and left arm. He was rushed to Thomas Jefferson Hospital, where he was listed in critical condition. Police said the second victim, a 17-year-old black male, was stabbed in the chest and stomach and cut along a wrist. He was transported to Hahnemann Hospital and placed in critical condition. There were no arrests made at the scene and no weapons have been recovered. A joint investigation is being handled by Philadelphia and SEPTA police. SEPTA has advised riders that eastbound trains on the Market-Frankford line will bypass 8th Street Station while police remain at the scene. Residual delays should be expected. MFL: Passengers may board trains from regular platform locations. However eastbound trains will continue to bypass 8th Street Station. Police activity remains on scene. There are no A/B skip stop service today. Expect residual delays.